Nancy Marie is a driving force for self-actualization and the creator of the I Create What I Believe! Self-Awareness Art Program (ICWIB) – which is endorsed by Dr. Bruce Lipton and based on his research. Nancy is also the author and illustrator of three other books: Out of the Box and Into Yourself!, Passage of Change, A fable based on the research of Bruce Lipton, Ph.D., and The Beckoning Song of Your Soul, A Guidebook for Developing Your Intuition. 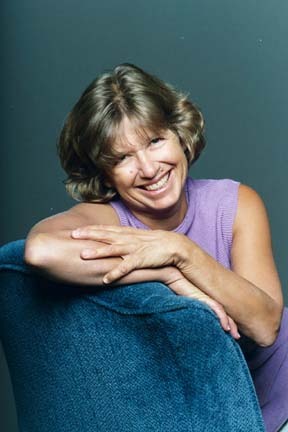 Nancy Marie is the current director of Inner Eye Publishing and the past director of The Wizard of Us – a children’s magazine written and illustrated by and for children. Ms. Marie was also the past director of several home school art programs and has been leading self-discovery and self-transformational workshops for over 35 years. Over the last 35 years Nancy has presented at the many large conferences, numerous bookstores and schools throughout the United States. She has also taught her ICWIB program to parents, educators and individuals suffering from trauma and/or PTSD. Her trainings have been sponsored and funded by the College of the Siskiyou, Shasta College, First Five of California, the Teacher Mentor program of California, several CAEYC programs, the Foster Kinship program, and independent funders and foundations . Nancy Marie majored in Art in college and sold her sculpture in galleries from 1971 to 1980. She began illustrating in 1983. Her work has embellished books, note cards, brochures, and business cards for many years. In 1976 Nancy began teaching Art as a Method of Self-Discovery to adults. Between 1986 and 1990 she also took her Art as a Method of Self-Discovery program into the elementary school classroom. Ms. Marie is a firm believer that anyone can draw and that creative self-expression can help you gain a greater sense of self and help you understand how you uniquely see and experience the world.